Disclaimer: The title has nothing to do with Anne or myself as neither one of us snore. Now that I’ve defused that potential bomb. Looking back at the original tweet, I might reword it. I would say, “Losing rest will cause all sorts of trauma.” Without rest, you, your family, your walk with God, are all susceptible to trauma (distress, shock, and injury). Marriages go through trauma because couples have no rest as individuals and, perhaps more importantly, have rest as a couple. People suffer trauma because their mindset says rest = laziness or weakness. In my opinion (which I believe is in alignment with the Lord’s opinion) the subject of rest is completely underestimated and overlooked. We forget, rest was a part of creation. Rest (coupled with worship) was so vital, God put it in the ten commandments, right along with don’t murder or commit adultery. In fact, a closer look at scripture shows God spent more time (96 words!) on the importance of obeying his command to REST than on any of the other 10 Commandments! For a workaholic like me…that’s hard to wrap my mind around. I don’t believe that God wants us to be one step from a nervous breakdown, always on the edge of exhaustion. What I see is a lack of rest is really lack of trust. Maybe we think if we lay down or have down time, things will fall apart because EVERYTHING in life hinges upon US. The ten commandments tell us to share in God’s rest; to rest ourselves in honor of His perfect creation and His absolute control. Genesis 2, God rests because nothing more needs to be done. We rest because we honor a God who has finished all of it. If He rests, so can we. His control guarantees that the world will not fly apart if we take a day off. In other words, resting, I acknowledge my trust in His control. Rest is more than a mental construct. Rest is a behavioral, practical, visible sign that I trust Him. If our frenzied lives cannot set aside for rest, what does that say about our trust in the one we claim to worship? Does it mean that we still subtly need to take charge? Does it mean that we dishonor Christ when we think we and our activities are so important that we cannot rest? And what does it say about a religious attitude that ignores this visible sign of trust in God? What does it say to the world when we cannot let go for fear that something won’t get done? Does that reveal the kingdom of God or the kingdom of us? Dad taught me the art of the “power nap.” Ask Anne, between work and an evening activity, I’ll pop my ear buds in and take a 10-15 minute nap to rejuvenate me for the night’s events. 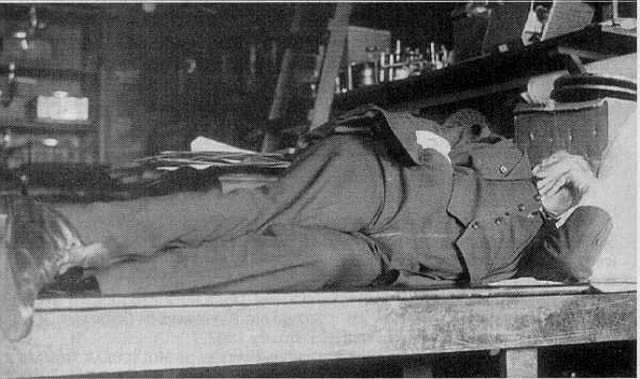 In fact, do some research and you’ll find that there are historical figures that perfected a life of napping (see above pic). A friend of mine posted a fascinating article by Michael Hyatt on 5 reasons you should nap. 3. Personal Rest. This is different from sleep. If I was preaching I would say TRUTH: Rest should be a nonnegotiable time in everyone’s life. When we rest we get a proper perspective on our life. When we rest we can reflect on what has taken place in our life during the week. Don’t cause undo trauma because you haven’t taken care of yourself. Does your life have control of you, or do you have control of your life? Rest and reflection will help you answer that important question. 4. Marital Rest. You and your spouse NEED a break away from the kids and life. Go on a date. Go for a walk. Meet for coffee. Anne and I for a number of years would put the kids to bed at 8 and sit in bed and watch shows together. We protected that time together. I have counseled far too many couples that struggle with marital trauma at 20+ years of marriage not knowing the person they married. You need frequent rest times together!!! Like #3, this is a nonnegotiable in everyone’s marriage. I believe that “rest” is stewardship over this life that is a gift from the Lord. We take care of ourselves by resting and I believe that rest is honoring the Lord. It shows a trust in Him. That’s all I have for today. Get some rest. Show the Lord you trust him by releasing yourself from business. Like me, maybe you need to repent from not properly resting. lower effectiveness for His Kingdom. I agree. It’s a subject largely ignored and misunderstood. Should have read this yesterday… I agree rest is super important! Glad God put this on your heart.